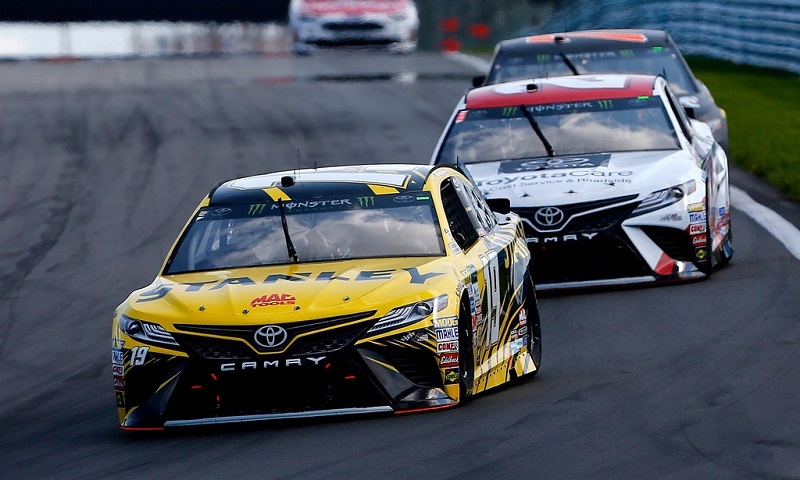 WATKINS GLEN, N.Y. — Daniel Suarez was able to put his road-racing background from his days in the NASCAR PEAK Mexico Series to use on Sunday, holding off Martin Truex Jr. for a stage win and ultimately scoring his career-best Monster Energy NASCAR Cup Series finish Sunday at Watkins Glen Int’l. Suarez led 14 laps and topped Stage 2 of the I Love New York 355 at the Glen by four car lengths over a charging Truex, then managed his fuel to perfection over the drama-filled final stage of the race, picking off positions one by one as he climbed up the pylon to third in the closing laps. 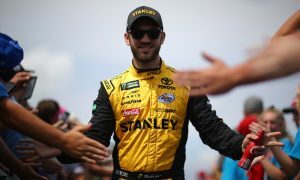 Finishing a scant five seconds behind eventual winner Truex and Joe Gibbs Racing teammate Matt Kenseth, the day was a big one for the NASCAR Next alumnus and reigning NASCAR XFINITY Series champion. 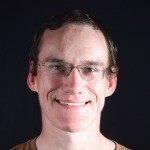 However, he admitted he wished that he could have gone harder a little sooner in the closing stint. Arguably the most exciting portion of Suarez’s day was his block of Truex in Turn 7 to seal the win in Stage 2, a move that Suarez explained he pulled from his earliest racing days. Despite not being able to challenge for the win at the end, Suarez did say his performance was one that both he and the team could be proud of leaving the Glen. Sunday marked Suarez’s fourth-straight top-10 finish and his first laps led in the Monster Energy NASCAR Cup Series. Now that’s he’s having a chance to return to many of the tracks on the Cup schedule for a second time, Suarez says he and his team are finding their stride and beginning to shine as they apply their previous knowledge.